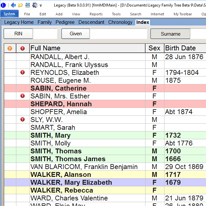 Legacy searches the key websites for your ancestors (while you sleep!) - FindMyPast, FamilySearch, GenealogyBank and MyHeritage. 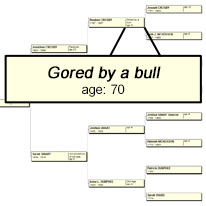 You can find missing info, pictures, and events to add to your tree. 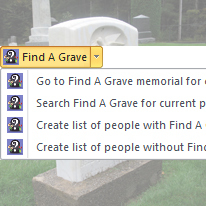 One-click access to your ancestor's Find A Grave memorial. 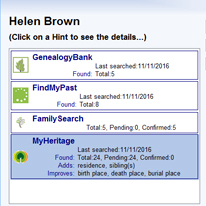 Create a list of people in your tree with or without Find A Grave IDs. 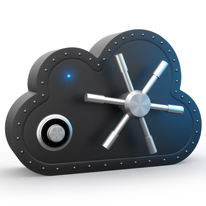 Protect your Legacy family file with secure online backup. 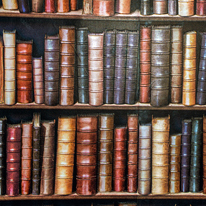 Preserve the stories of your ancestors, or your own stories. The new Stories tool lets you record, organize and print multiple stories for any of your ancestors. View or print Cause of Death charts showing both the age and cause of death. Choose from ancestor, descendant, fan, hourglass, or bow tie styles. 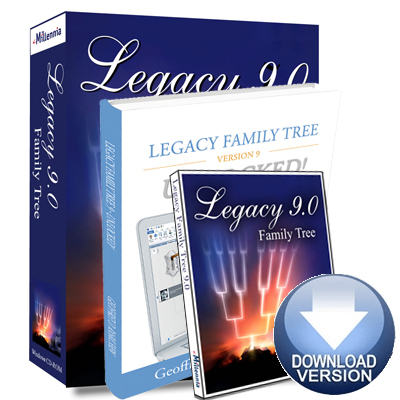 Map the path of your X-DNA inheritance. This new color scheme can be added to most charts. 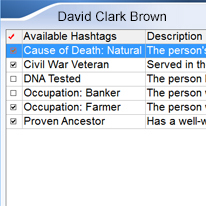 Create unlimited hashtags to describe your ancestors. Then search for or print a report of everyone who shares that hashtag. 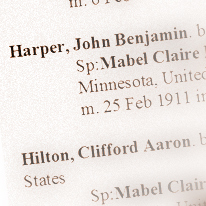 Your family tree - now available in alphabetical dictionary style. It's the perfect game for the reunion or a fun night at home. 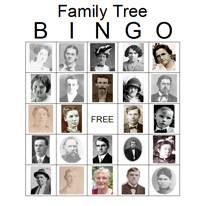 Include pictures of ancestors, descendants, the immediate family, or a combination. Researching 2 same-named individuals? 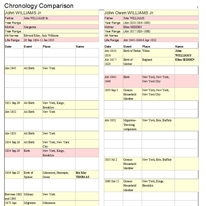 The new Chronology Comparison report puts them side-by-side, color codes their differences, and helps you determine if they could be the same person. 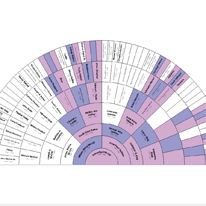 Now enjoy the ancestor color coding in both the Index View and Name List, making it easier than ever to know what part of your tree you are looking at. 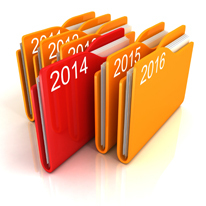 Legacy will now auto-sort your digital pictures by date. A new option to globally sort your media is also new in 9. View all 9 tags in the Name List. 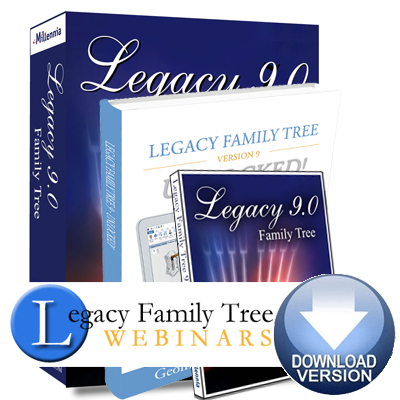 Click here to download/print the "What's New in Legacy 9" brochure. Makes great reading for your FHC, library, or genealogy society! NEW A more powerful and user-friendly Legacy. 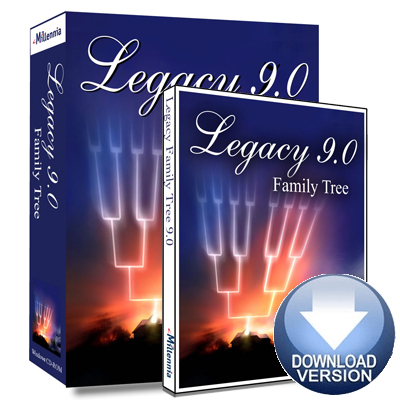 Legacy Family Tree 9 continues its tradition of being the easiest-to-use and most powerful genealogy software for your computer. Upgrade from just $26.95 (if you have purchased Legacy Deluxe in the past).